The Soyuz TMA-18M spacecraft with three crew members on board set sail on its return journey Tuesday night, undocking from the International Space Station to close out a record-setting mission with a parachute-assisted landing in Kazakhstan. Scott Kelly and Mikhail Kornienko are returning to Terra Firma after nearly one year in orbit, completing the longest mission in ISS history to keep pushing the envelope and collect data on the response of the human body to extended exposure to the space environment. 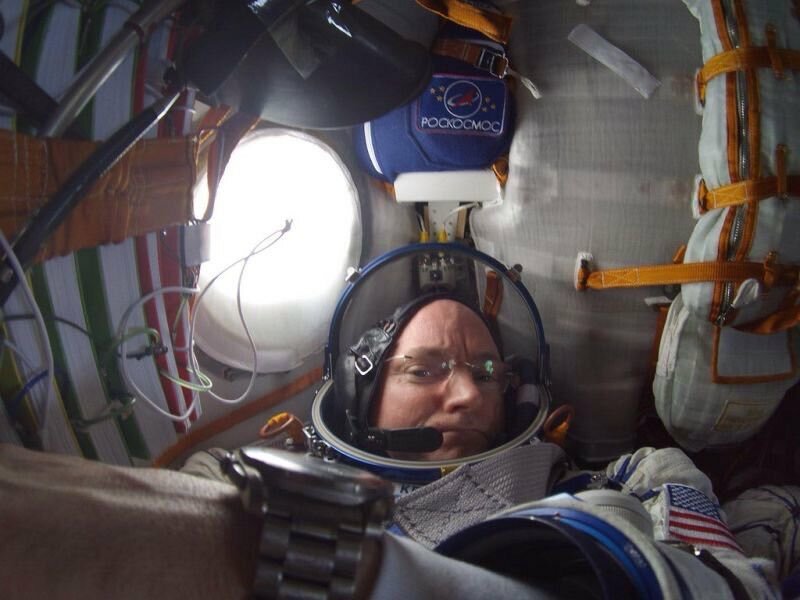 Seated between the one-year crew is Soyuz commander Sergei Volkov, returning from his third long-duration mission. 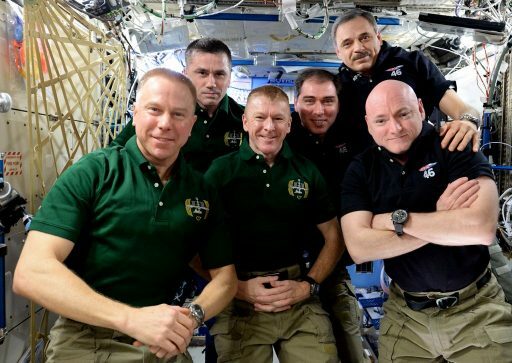 Closing out their 340-day flight, Kelly and Kornienko bid farewell to their home in space Tuesday evening along with Sergei Volkov who departs ISS after a 182-day mission. The trio strapped themselves into their seats aboard the small Entry Module of the Soyuz after the 21:43 UTC hatch closure, preparing the vehicle for a short free flight. Soyuz departed the Space Station at 1:02 UTC on Wednesday, firing its thrusters to drift away from the orbiting outpost to set up for a four-minute and 40-second deorbit burn planned at 3:32 UTC to place the spacecraft on its path to re-entry. As an all-veteran crew, the trio will know what to expect when their Soyuz dips into the atmosphere and is rapidly slowed down in a blaze of fire. 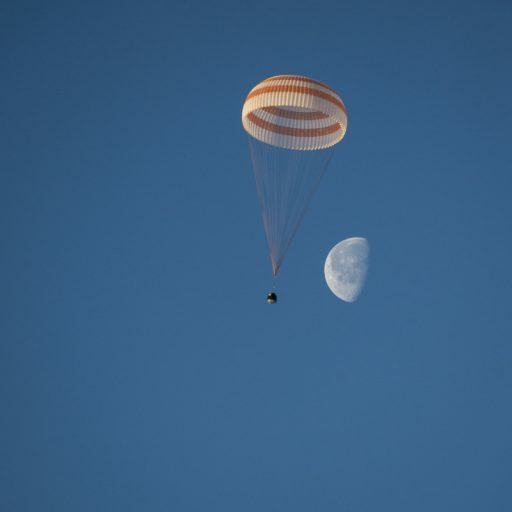 Opening up its parachutes, the spacecraft will make a quiet descent to the steppe of Kazakhstan ahead of the big finale – the firing of Soft Landing Engines and the touchdown of the spacecraft at 4:25 UTC to mark the safe return of the crew. Wrapping up their mission, the crew of Soyuz TMA-18M began preparing for their return several weeks ago, loading the spacecraft with return cargo and packing up their things. The Soyuz TMA-18M spacecraft went through the usual pre-landing checkouts including thruster and flight control checks in the days leading up to Tuesday night’s landing and the three crew members were tasked with Entry simulations as well as fit checks in their suits and Kazbek seats. Sleeping in on Tuesday, the crew had a late start to be able to support their late night departure and overnight landing aboard their Soyuz spacecraft. Soyuz cargo loading was finished in the afternoon hours including the stowage of time-critical experiment samples in cold bags to return to Earth as fast as possible for analysis on the ground. Sergei Volkov activated the Soyuz spacecraft in the afternoon hours to go through the setup of its Flight Control System and a last set of tests including communication checks with Mission Control. Also, air ducts and quick release clamps were removed as the Soyuz was readied for its undocking. In Kazakhstan, operations were in progress throughout the day on Tuesday to pre-stage recovery teams in order to be ready to deploy to the landing site at dawn on Wednesday with landing expected two and a half hours after sunrise. Off-road and all-terrain vehicles were stationed in Dzhezkazgan and began deployment to the planned landing site 146 Kilometers south east of town as well as the ballistic landing site that lies well short of the normal landing location. Helicopters were pre-staged from Karaganda, ready to depart Dzhezkazgan around the time Soyuz makes its deorbit burn. Overall, the recovery team includes around 300 members from all involved agencies, the majority belonging to the RSC Energia recovery team that is proficient in locating Soyuz spacecraft in all weather conditions, reaching the crew within the shortest period of time and handling crew members and their vehicle after landing. The recovery team includes 12 MI-8 helicopters and two fixed-wing aircraft that are circling over the landing area to act as command centers, also in charge of communicating with the Soyuz during the descent under the parachute. The six-person Expedition 46 crew shared one last meal before the three departing crew members bid farewell, saying good bye to their colleagues and ISS, their home in space for the past several months. 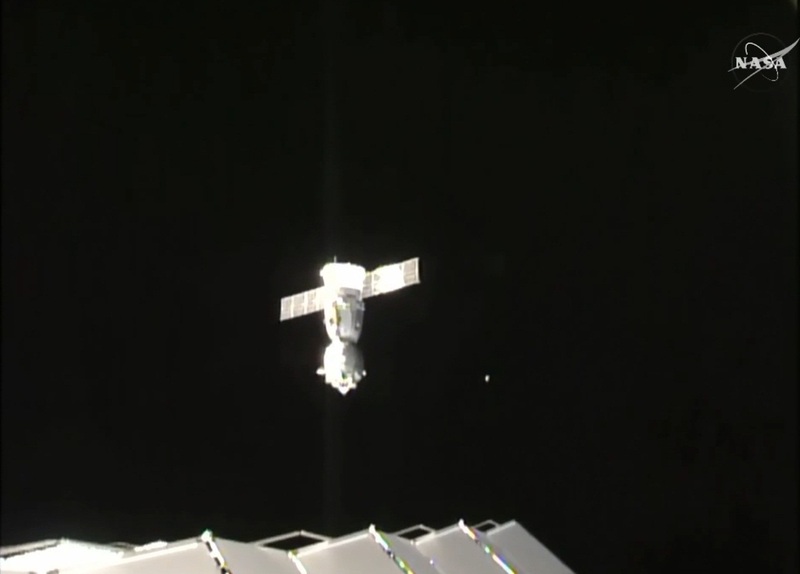 Waving good-bye, the crew closed and locked the hatch of the Soyuz at 21:43 UTC followed by the closure of the Poisk hatch, leaving behind Expedition 47 Commander Tim Kopra and Flight Engineers Yuri Malenchenko and Tim Peake. 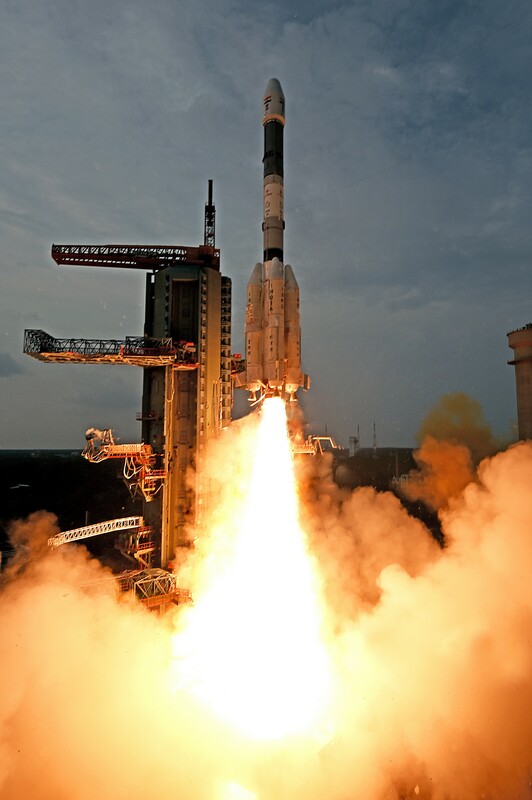 Once both hatches were closed, the way was clear for leak checks that were initiated with the depressurization of the two vestibule volumes within the docking interface. Pressure monitoring over a period of one hour showed stable pressures in the small and large vestibules which confirmed that both hatches were holding pressure. Meanwhile, inside the Soyuz, the three crew members made use of the time needed for leak checks to put on their Kentavr Anti-G garments and Sokol Launch and Entry Suits. Closing out the Orbital Module, the three crew members strapped themselves into their Kazbek seats – Sergei Volkov took the center seat, looking forward to his third landing aboard the Soyuz flanked to his right by Scott Kelly and his left by Mikhail Kornienko, both ready to support the landing procedure. The hatch to the Orbital Module was closed and the OM pressure was reduced by opening a release so that leak checks on the hatch between the Entry Module and the OM could be conducted. The crew also checked their Sokol suits for tightness and went through the final preparatory steps for the undocking, configuring their onboard displays and verifying flight control system parameters. 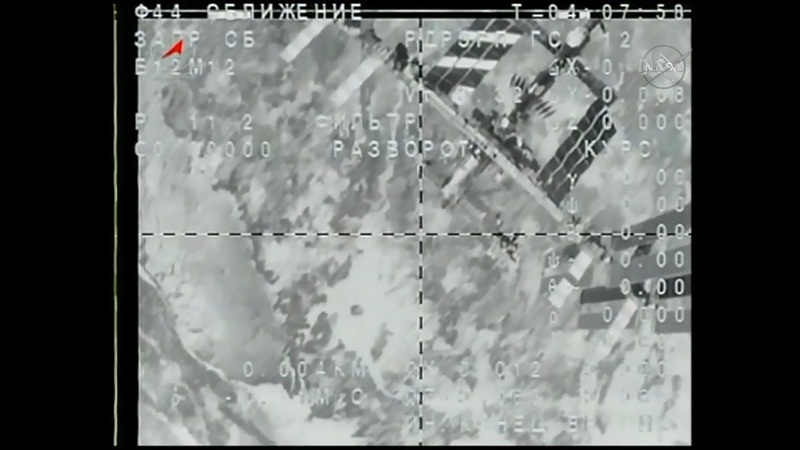 Soyuz TMA-18M was transitioned to autonomous power and umbilicals within the docking interface were demated. The hooks on the Poisk module were opened well in advance of undocking so that only the hooks of the Soyuz were holding the spacecraft in its port at ISS where it had been for nearly 200 days. In the minutes leading up to undocking, the docking mechanism was powered up and the Space Station disabled the Russian thrusters and switched the Control Moment Gyros on the US Segment into a Fine Attitude Hold Mode for the demating sequence, ensuring ISS was perfectly still during the operation. No re-orientation of the Space Station was needed unlike past procedure that required ISS to orient the Soyuz so that it could depart the complex along the positive velocity vector with only one burn performed after undocking to put the Soyuz on a course away from ISS. 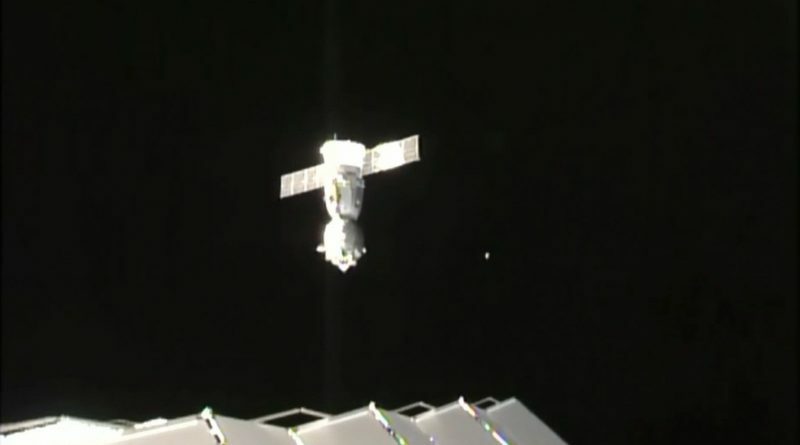 90 seconds prior to separation, the undocking command was issued and the hooks of the Soyuz spacecraft started opening, breaking the hard-mate between ISS and TMA-18M. Physical separation was confirmed at 01:02:40 UTC when four spring assemblies were commanded to push ISS and Soyuz apart with a total force of 300 Kilograms which was sufficient to generate a relative velocity of 0.12 meters per second. 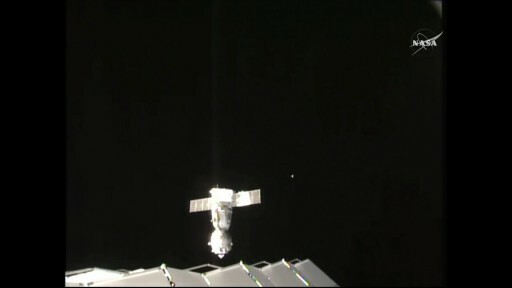 Separation occurred while ISS was flying about 400 Kilometers above Russia. 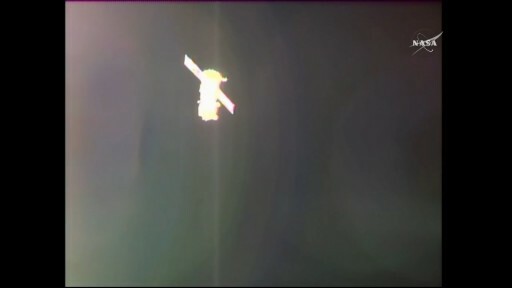 With ISS not changing its attitude for the undocking, Soyuz had to conduct a two-burn departure profile to first depart along the R-Bar and then initiate an opening along the velocity vector. Soyuz drifted passively for three minutes with its thrusters disabled ahead of the reconfiguration of the Flight Control System and the initiation of the first departure burn lasting just eight seconds, starting when Soyuz was about 20 meters from the Space Station. This first burn increased the vehicle’s opening rate along the –R-Bar by 0.6m/s and was followed by a re-orientation of the Soyuz to properly point its thrusters for the next burn that delivered a thrust component along the velocity vector to put Soyuz on its departure path. Separation Burn #2 lasted for around 30 seconds and placed the craft on the expected trajectory away from the Space Station. With Soyuz on a good trajectory out of the Approach Ellipsoid, the crew started a few reconfigurations before settling in for one and a half orbits of free flight leading up to the deorbit burn when the pace of events picks up ahead of re-entry, descent and landing. Throughout the Free Flight, Soyuz will maintain a VHF link with the Space Station acting as a relay station to allow Mission Control to stay in contact with the crew. Setup for the deorbit maneuver will begin around one hour ahead of the burn when the crew activates the accelerometer of the vehicle, connects the Entry Module emergency batteries and powers up cameras inside the Entry Module. Ignition of the SKD main propulsion system is expected at 3:32:40 UTC on a burn of four minutes and 40 seconds to slow the spacecraft down by 128 meters per second to place it on a path to re-entry. The deorbit burn has to be performed with great accuracy to put the Soyuz on a path to intercept the dense atmosphere within a narrow corridor, en-route to the planned landing site south-central Kazakhstan. Inside the Entry Module, the crew will carefully monitor the performance of the SKD system during the burn, reading out burn parameters to Mission Control. Afterwards, they will close their helmets in preparation for the depressurization of the Orbital Module that occurs shortly after the Soyuz is committed to re-entry to avoid an explosive release of air when the modules of the Soyuz are separated. Separation of the modules is expected to occur at 3:59:56 UTC when Soyuz is 140 Kilometers in altitude, flying over the Red Sea and approaching the dense layers of the atmosphere. Firing a series of pyros in close succession, the Orbital and Service Modules will be pushed away from the Entry Modules into different directions with specific velocities to ensure no re-contact would occur between the modules. Soyuz will dip below 100 Kilometers, marking the start of Entry Interface, expected at 4:02:45 UTC at a speed of 7.6 Kilometers per second. 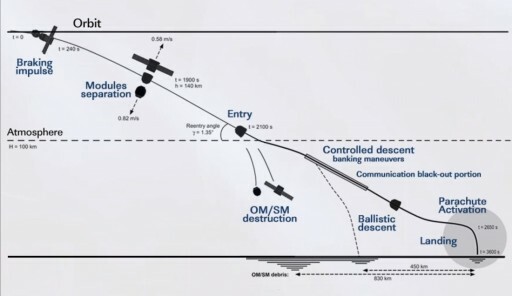 For the first 90 seconds of re-entry, the Soyuz will stick to its initial re-entry attitude before enabling Entry Guidance that will put the Soyuz through a series of bank maneuvers and modify its lift to home in on its planned landing site located 147 Kilometers south east of the town of Dzhezkazgan. Split seconds before touchdown, the Soyuz will fire its solid-fueled soft landing engines to cushion the impact. Touchdown is expected at 4:25 UTC in the southern landing zone of the Soyuz where a 300-person recovery team will be standing by in helicopters, all-terrain vehicles and off-road vehicles to begin rushing to the landed Soyuz craft. The three crew members will be helped out of the Soyuz to enjoy a breath of fresh air after returning from their record-setting mission.